Very viscous (glucose-like consistency), colourless liquid. Standard musk smelling, soft, long-lasting. Without any particular complexity, very linear. Often used at very high % in perfume compositions: from 10-50% in the fragrance concentrate, in some cases even more), for its good performance (long lastiness, projection) and low cost. Its olfactive transparency explains pretty well how easy is to overdose this product. Olfactively it is the kind of musk that smells “clean”, not surprisingly, since it is very much appreciated in functional perfumery (to a lesser extent today, when biodegradability concerns arise for this musk). Indeed, it doesn’t possess any “animal”, dirty facet (unlike the surprisingly beautiful Exaltone, aka Romanone Extra or Silvanone Supra). But I think that the “clean” adjective is still quite misleading. I invite you to thoroughly study civet absolute (@1%) and compare it with the “clean” smelling civettone (the musky molecule found in civet). You will understand how, a part from the faecal, skatole-like accents of civet, the interesting and animalic notes are built upon the shining muskiness of civettone. Musks really add a third dimensions to animal odours and are a part of them. It also doesn’t fit into the “powdery” musk category. It is more close to the ambrette seed-like musks, like ambrettolide, Helvetolide, Romandolide, ethylene brassylate etc. with his sweet floralcy and velvety seedy woodiness. In my essays I was often surprised how good this product performs in alcoholic perfumery, from 5% to 20%. It adds depth, wearability, without changing too much the odour profile of the composition. Surely, it is quite a “cheap”, boring choice in fine perfumery, were high price should account for quality or inventivness (some more interesting and original musks are available, but they can be pricey). Needless to say, it blends perfectly well with almost any fragrance material. In my personal experience (the exception that proves the rule): I found it ugly and hard to blend with ambery-labdanum compositions, where an old-fashioned richness, opulence, thick sweetness is required. In this case Galaxolide (and similar musks) are to be used cautiously at low %, in order not to introduce a transparent, light verticalness that doesn’t fit very well (nitromusks, Muscenone, would fit better). It has been suggested that Romandolide could replace Galaxolide. I very much enjoy Romandolide and think that it closely resembles Galaxolide under various aspects. Romandolide is slightly powdery, more ambrettolide-like, whereas Galaxolide bears some resemblance to Exaltolide. Romandolide has a particular green-bitter and metallic topnote that I find rather interesting for a musk, while Galaxolide is more neutral. Romandolide also is quite cost-effective. Unfortunately, I am not able to speak about its performance in functional perfumery (where it could be an interesting asset), since this field requires a particular experience I don’t have. I will test thoroughly the differences and similarities between the two musks (in alcoholic media) and post my thoughts in some months. Not ready soluble in ethanol (@2,5% only) or DPG (it forms a cloudy solution). Floral, warm animalic (civetty), sweet honeyed, thick, powdery, sharp, slightly urinic smell. Superior to any other p-Cresyl derivative in my opinion. Rounder and much floral than p-cresyl acetate (“horsey” notes) or p-cresol (jasmine-like): it bears a closer resemblance to narcisse, jasmin and violet. Also sweeter, higher-boiling (greater tenacity) and more delicate than the former. It can easily mimic the violet with the sole addition of indole and ionones. The same for narcisse, being careful in replacing the ionones with methyl anthranilates and a hint of greeness. On paper and diluted, it is almost like smelling a dried out strip of jasmine absolute. Interesting in a rose-jasmin complex: a warm animalic side married with a powdery phenylacetic acid (dirty honeyed) suggestion. A short digression on an old perfume: JOY, Jean Patou. Warm and powdery, slightly harsh, intensely floral and jasmin, quite linear. 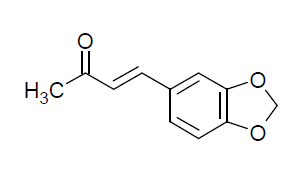 I bet this molecule along with phenylacetic acid was used there (and a lot of Musk Ketone, rose and jasmin absolute, of course). In jasmine reconstitution I would prefer p-cresol over p-cresyl acetate: it is sweeter and floral; in narcisse and tonkin musk imitation p-Cresyl acetate is my choice; while p-Cresyl phenylacetate elegantly and quite discreetly (in low dosage) fits in both (slightly too much floral for a musk accord, but nice in civet). Definitely the richest, most floral, animalic, lively, nuanced and smooth p-cresyl derivative out of the three (I didn’t mentioned here p-cresyl methyl ether since it is the most different: thin, low-boiling and ylang-like). Surely one of my favourite “floral” chemicals, along with indole, linalool and methyl anthranilate. Not sure if it is a panteted molecule (IFF). It is piercing, woody, resinous, musty and rosy in some ways. It is peculiar and interesting, not sure to have smelled anything that resembles this until now. Not at all ozonic (like Floralozone or Precyclemone B) nor marine, as stated in some descriptions; it has no lily of the valley-melon-like nuance. A little bit salty, maybe. It is the odour you could find in a cellar, quite thin and volatile. This has not much body but is quite long-lasting. I very much appreciate its extremely dry, woody, musty, cork-like undertones. It is quite powerful, difficult to use at more than 5%. Sweet, tonka, almond-like, dry, woody odour. Lactonic nuance. Its strength is better understood when properly diluted (usually at 5 or better 1%, in ethyl alcohol; anyway it will not dissolve at more than 8%). I usually keep it at a maximum concentration of 1% (fragrance concentrate), otherwise, it will grow and tend to overwhelm other notes. It is a standard ingredient in chypres and fougères. It forms the classic ambrein accord together with vanillin, civet-like notes and bergamot. Tonka bean absolute is quite obviously more complex and refined, it has soft, woodier, bitter, creamy, hay-tobacco-like, dark facets. I have not yet found a good replacer for coumarin at this time. 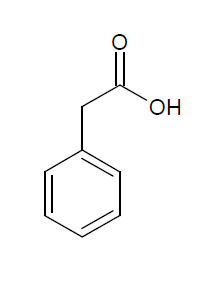 It could be Acetanisole (but it is thinner, sweeter, heliotropine-like in character). I really like Bicyclononalactone (closer to tonka, hay and hyraceum). Medium-smelling, sweet, oily, slightly aromatic (dry fennel), sandalwood, musky, vibrant, woody odour. Effective in small amounts, it gives a natural milky, creamy, sandalwood-like nuance. Powerful, sweet, milky, lactonic, coconut, coumarinic, powdery odour. I used this in an imitation rum fragrance, where it surprisingly well mimics the effects of oak aged liquor: it provides a refined sweet, mellow, lactonic, woody, dry, musty nuance, and gives tenacity. Medium smelling, sweet, powdery, milky, dry, typical vanilla odour, without any complexity, or dark shades. Useful in any composition. @ as little as .1%, whitout being perceptible as a single note it rounds off and mellows any fragrance. Intensely sweet, creamy and coconut-like odour. Oily, waxy and metallic undertones. Useful in many florals. Mild, sweet, fine, lactonic, peachy, flowery odour. Interesting in floral compositions: it gives softness and body. Less peachy and oily, more refined than gamma-undecalactone. Semisolid-viscous intensely yellow, blue fluorescent, mass. Similar in odour to methyl anthranilate, but more sweet, oily, waxy, powdery and floral. Useful for the same purposes as methyl anthranilate, where more tenacity and sweetness is desired. It is also more stable. Mild, fruity, sweet, oily red fruit-like odour. It reminds of strawberry jam. It possesses a nondescript, waxy, fruity nuance. Resembles vetiver oil, not earthy, more sweet and thin. It is intensely woody, pleasant, dry, vibrant, licorice-cardboard-like. Medium-smelling, pleasant, woody, sweet, clean, sandalwood, musky, oily odour. At a low concentration it imparts a sweet sandalwood musky effect to a composition. Strong-smelling, green, sweet, rhubarb, floral -gardenia-, woody-dry odour. Powerful, green, leafy, fresh, sweet, woody odour. It easily reminds of freshly crushed leaves, cut grass, green branches. In dilution it is more sweet and almost fruity. It gives a natural impact to fruity and floral compositions, imparting a realistic green effect. Poweful, predominantly green, sweet, waxy, citrusy odour. 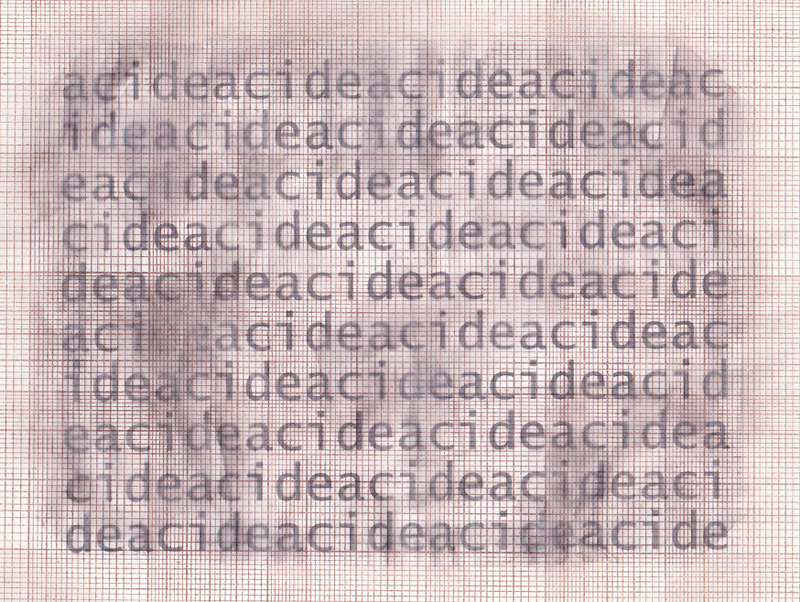 Used in traces for an herbe coupée effect. It is less natural, more powerful than cis-3-hexenol, but it is more rounded and blends better with fruity-floral notes. Mild, sweet, ‘limpid’, watery, clean, fresh, nondescipt, floral odour. Fresher and more delicate than Amyl cinnamal. It blends well with hedione. Sweet, soft, pleasant, fresh, nondescript-flowery odour. It may resembles jasmine for its fruity-juiciness aspect. It is less refined, stronger than hexyl cinnamal. It is useful in any white-floral composition. Penetrating, waxy, green, citrusy, orange peel-juice-like, metallic, refreshing odour. Gives lift, character, and naturalness in fresh citrus blends. Strong-smelling, sweet, waxy, powdery, peachy, heavy-floral, tuberose-like, warm, soapy. It blends well with florals, salicylates and musks. Sweet, strong-smelling, vibrant, cinnamon-like, less spicy-woody, more fruity-cake-like, milky. Sweet, fresh, outdoorsy, floral, thin, lilac-lily of the valley-like odour. Camphoraceus, piney undertones. @ 100% acrid, chemical, sweet, warm, unpleasant, urine like, horse-like (Arctander). @ 1% warm, animal, stable, heavy-flowery, lily, narcissus. Fresh, thin, natural, sweet, bitter orange-citrus peel-like odour.